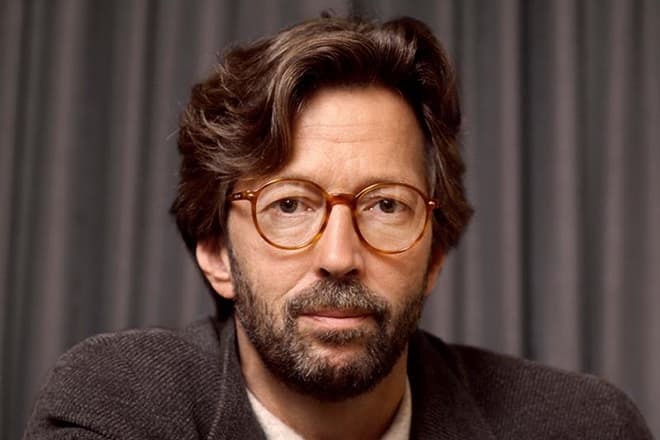 Eric Clapton is a British musician who has become famous after the release of the singles "Autumn Leaves," "Tears in Heaven" and the cover version of Bob Marley’s song "I Shot the Sheriff." During his career, the singer released 22 solo albums and became the only musician who got to Rock and Roll Hall of Fame for three times, at first as a solo singer, and later - as a participant of the Cream and The Yardbirds bands. 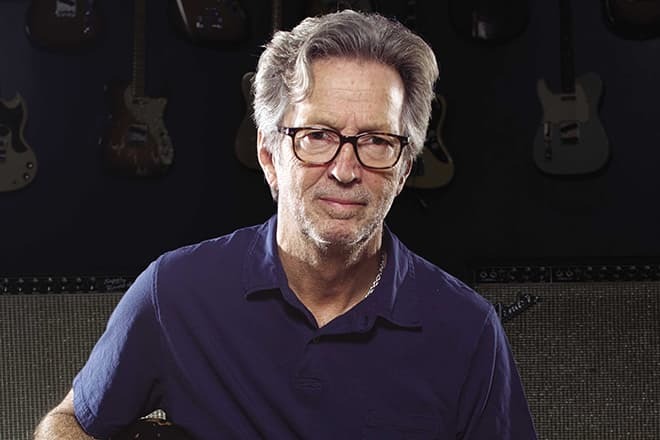 Eric Patrick Clapton was born on the 30th of March, 1945, in the small English village of Ripley situated in the County of Surrey. The composer's father, Edward Walter Fryer, was a serviceman who had gone to the war even before Eric's birth. The singer's mother, Patricia Molly, married for the second time and sent her son on the upbringing of her father-in-law and mother-in-law. As a result, Eric's grandmother Rose and her second husband Jack were engaged in the education and upbringing of the future artist. At the age of fourteen Eric has attended the performance of the singer Jerry Lee Lewis. Having seen an energetic, charismatic performer on the stage who was showered with the love of the audience which was present at the concert Eric understood whom he wanted to become. 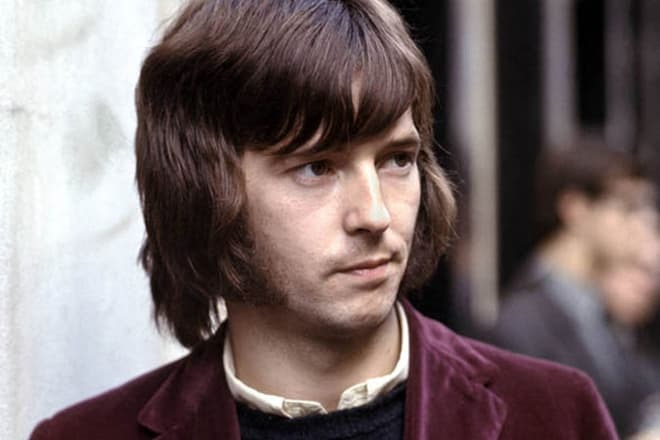 Clapton became interested in the illusory world of sounds, and this resulted in the fact that at the age of seventeen he was expelled from the Kingston College of Arts where he managed to study just for a couple of months. After that Eric devoted all his spare time playing the electric guitar which his grandmother and grandfather had pursued him. Moreover, he spent his time listening to the records of American blues performers. Among the musicians, Clapton especially liked creative works of Chuck Berry, Muddy Waters, Bill Broonly and Skip James. In March 1962, in London, there was opened The Ealing Club of rhythm-and-blues fans. Eric became its regular visitor and often replaced Mick Jagger in Alexis Korner's Blues Incorporated ensemble. In 1963 Eric Clapton became a member of the young Yardbirds band. With this group, he has gained his first success. The group performed blues compositions and even recorded several concert albums. The band gave concerts all around England, and after the release of the single "For Your Love," the musicians started thinking about the change of the ban's genre orientation. The song under the title "For Your Love" distinguished in more pop style, therefore, the European listeners liked this composition in a short time. While the song was actively played on the radio, the concerts of Yardbirds were held with invariable success. In 1965 the band recorded the album which also got the title "For Your Love." However, after the album's release, the members of the band began to have frequent conflicts. They quarreled because Eric was against the change of the band' genre from blues rock to pop music. Other members of the group had another opinion, noting that it was pop music which had brought them success. As a result, a few months later Clapton already performed as a member of The Bluesbreakers band. After the termination of cooperation with this group the actor joined The Glands group for some time. Eric’s creative search has lasted for long months. However, finally, the musician has managed to find himself. The meeting with other remarkable musicians - Ginger Baker and Jack Bruce with whom he has created the Cream band became a fateful moment in the life of the well-known guitarist. During the period from 1966 till 1969, Clapton recorded four successful album with his band ("Fresh Cream," "Disraeli Gears," "Wheels of Fire," "Goodbye") which subsequently became the real classics of rock music. Almost nobody knows that being a member of this group Eric has got nickname the Idle Hand, for his manner of changing torn strings right on the stage with the slow claps of the public. The group has become very famous and further has gained the status of one of the most remarkable collectives of their time. However, at some period, Baker and Bruce began to have conflicts. During a couple of months Clapton tried to keep the peace between his colleagues, but in a short time, he was tired of such a situation. As a result, in the late sixties, after the successful tour around the U.S., the members of the band announced its unraveling. Amazingly, but the Cream band gathered together in 2005. During this period the musicians have held a couple of concerts and have released two official collections of the previous hits ("Cream Gold," "Icon"). After the break-up of the band in 1969, the guitarist joined the Blind Faith group for some time. However, later he became a solo singer. 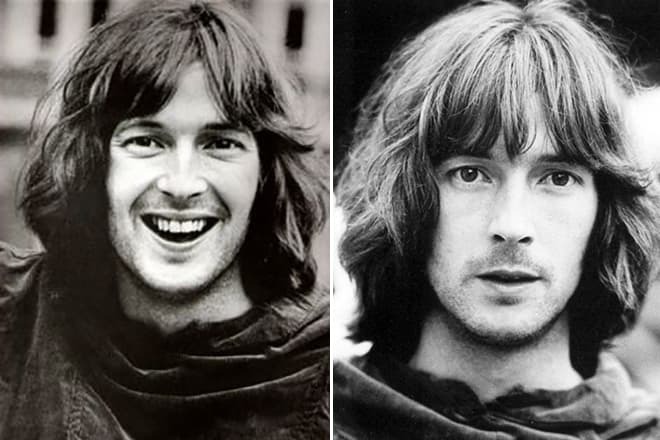 His first debut album "Eric Clapton" came out in August 1970. The disc was recorded alongside with the singer’s participation in Derek and the Dominos project, after the completion of the joint concert tour with the American duet of Delaney and Bonnie. 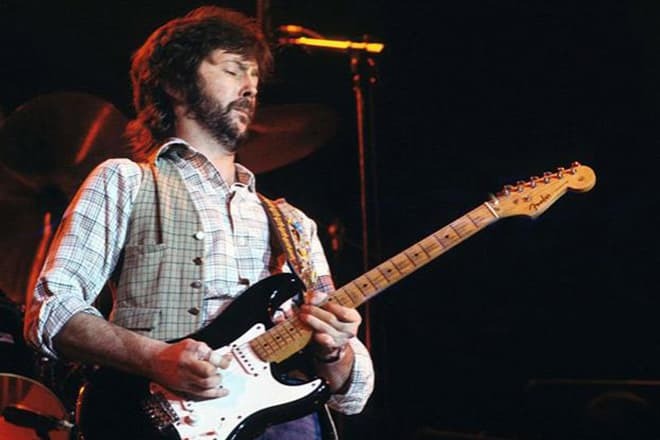 While collaborating with Derek and the Dominos Eric Clapton composed the double album "Layla and Other Assorted Love Songs." Almost nobody knows, but the lyrics of the title song "Layla" is a true story of a love triangle among Clapton, his close friend George Harrison and his wife, Pattie. Unfortunately, personal sufferings and peripetias of Eric’s career have resulted in the fact that during his work on the plate the guitarist became a heroin addict. Clapton went black in the seventies. It was the period of drug addiction and subsequent long-lasting struggle against this disease. The actor undertook the course of controversial but efficient electro-acupuncture treatment. After this course, he ultimately refused the harmless substances which could lead him to death. Some critics and Eric’s fans were disappointed with his works which came out after the rehabilitation period. They didn't accept the refusal of the musician of loud guitar and his transfer to a more smooth variant of performing. So, the single from the album "Money and Cigarettes" (1983) - "I've Got a Rock 'n' Roll Heartruen" occupied only the 18th position in the American charts and didn't get to TOP-50 British charts. 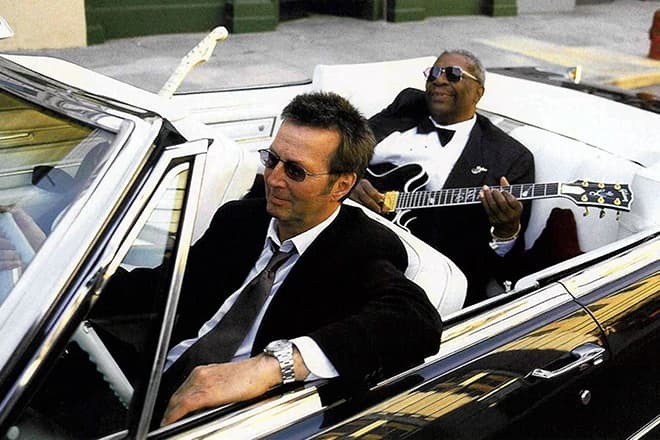 There were no original compositions in Clapton’s 12th studio album under the title "From the Cradle" (1994). The disc included only covers on classic blues songs. In February 1997 the singer received two Grammy awards and won with the composition "Change the World" the following nominations - The Best Record of the Year and The Best Male Vocal. 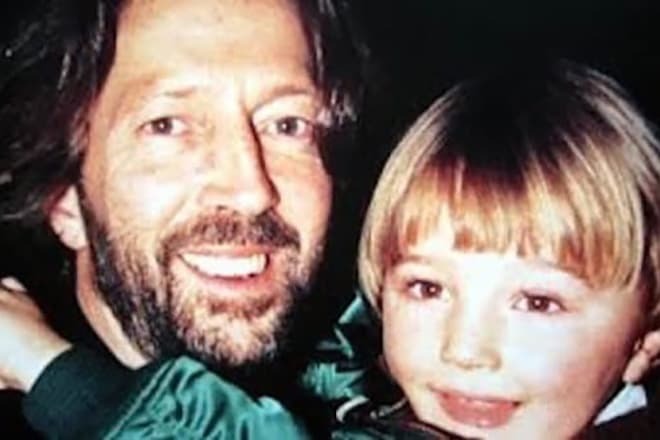 In 2000 Eric Clapton and B. B. King's joint studio blues album appeared on the market. This album included new compositions as well as the songs of fifties-sixties ("Ten Long Years," "Three O’Clock Blues," "Help the Poor," "Days of Old" and "When My Heart Beats Like a Hummer"). During the period from 2001 till 2016, the British musician released the albums "Reptile," "Me and Mr. Johnson" "Back Home," "Clapton" and "I Still Do." The model Pattie Boyd was the first musician's spouse. 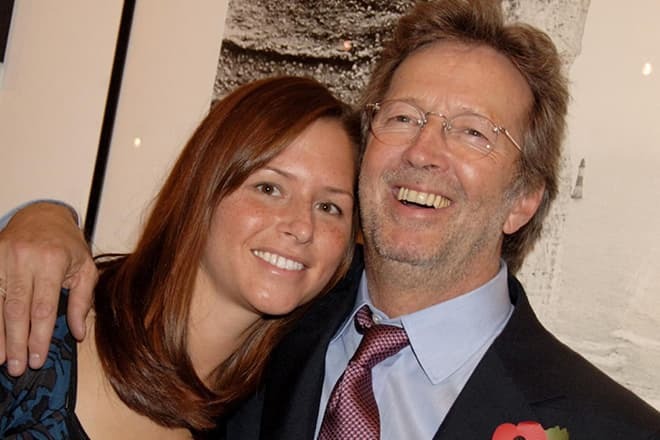 To be with Clapton, she divorced from her husband who was the close friend of Eric – George Harisson. They parted after twelve years of their marriage. In 1985 Eric began his relations with the Italian model Lory Del Santo. Some time later gave birth to the musician’s son Conor. However, there happened the unexpected tragedy, and their relations came to an end. During their vacation in New York, their small son accidentally fell out of the window of the skyscraper and died. After that Eric composed the song under the title "Tears of heaven." At present, the musician is married to Melia McEnery. They officially registered their relations in 2002. Three daughters were born in this family - Julie Rose (2001), Ella May (2003) and Sophie Belle (2005). Besides, there is information that in 1985 the employee of the record company Yvonne Hang Kelly gave birth to the musician’s daughter Ruth out of marriage. There is no information about her on the web. In 2016 the musician confessed that he suffered from peripheral neuropathy and often had severe pain during his performances. 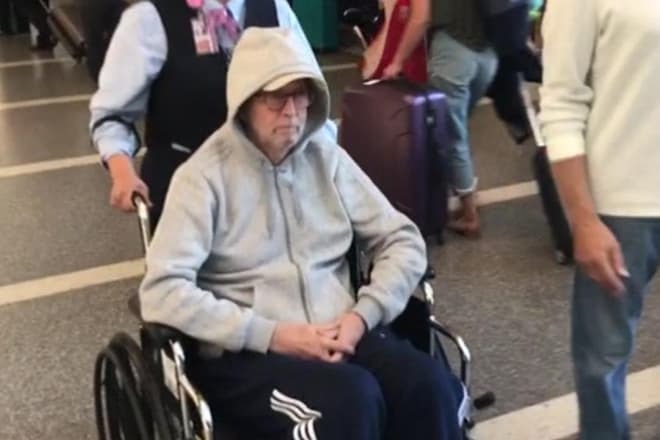 In April 2017 paparazzi captured the rock'n'roll star in a wheelchair at Los Angeles airport. He arrived here together with his three daughters and personnel with the purpose of medical examination. Even though the weather was sunny that day, the musician was dressed in the vest and had his hands in the pockets, trying to keep heat. Because of his bad physical state, the guitarist canceled two concerts set for March. He announced that the people who had pursued tickets for this concert would be able to visit his performance in September. It is known that the performer of "Layla" song has accounts on Twitter and Facebook. Moreover, he has an official website where anyone can find the materials referring to Clapton’s creative biography. Also, you can order personalized production of the actor (T-shirts, key holders, bags, and caps). 1974 — "461 Ocean Boulevard"
1975 — "There's One in Every Crowd"
1976 — "No Reason to Cry"
1994 — "From the Cradle"
2000 — "Riding with the King"
2004 —"Me and Mr. Johnson"
2006 — "The Road to Escondido"
2014 — "The Breeze: An Appreciation of JJ Cale"
2016 — "I Still Do"